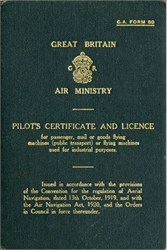 Pilot's certificate and license # 1718 issued to Albert Victor Heaton from the Great Britian Air Ministry in 1929. The Great Britain Air Ministry Private Pilot Certificate enabled Albert Victor Heaton to fly certain types of flying machines. 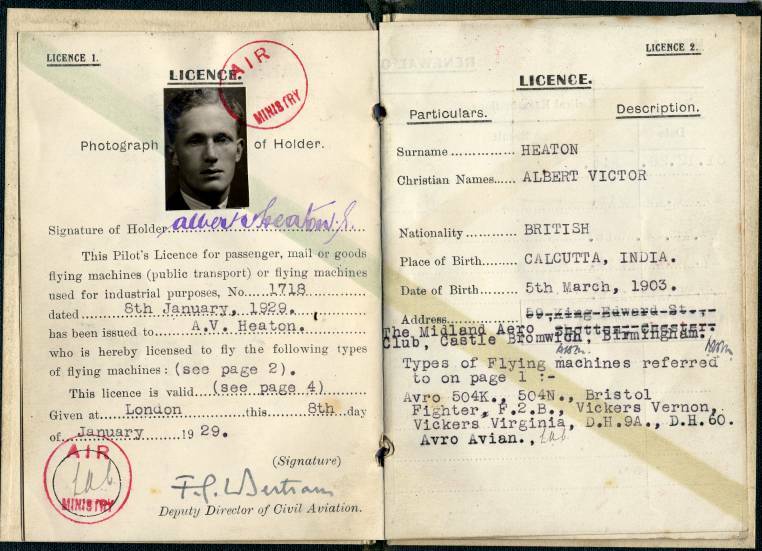 Albert Victor HEATON was awarded the Air Force Cross on the 31st March, 1942.